It is interesting to investigate which balance sheet data can be retrieved from the databases the library offers. Sometimes the data are ready for download, sometimes they have to be calculated, and sometimes they are absent altogether. This post aims at offering an oversight of commonly used balance sheet figures and how they can be found in database Datastream. Datatypes available in Datastream are presented in red. TOTAL ASSETS represent the sum of total current assets, long term receivables, investment in unconsolidated subsidiaries, other investments, net property plant and equipment and other assets. CURRENT ASSETS - TOTAL represents cash and other assets that are reasonably expected to be realized in cash, sold or consumed within one year or one operating cycle. Generally, it is the sum of cash and equivalents, receivables, inventories, prepaid expenses and other current assets. For non-U.S. corporations, long term receivables are excluded from current assets even though included in net receivables. Instead of Book value of equity, Market Value ( MV) is used. represents all interest bearing and capitalized lease obligations. It is the sum of long and short term debt. 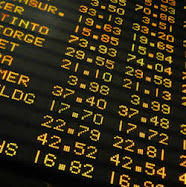 represents the sum of Preferred Stock and Common Shareholders Equity. This item is available in the annual time series and the quarterly, semi-annual and trimester interim time series. It is only available at the company level. Market Capitalization at fiscal year end date + Preferred Stock + Minority Interest + Total Debt minus cash. Cash represents Cash & Due from Banks for Banks, Cash for Insurance Companies and Cash & Short Term Investments for all other industries. CASH represents money available for use in the normal operations of the company. It is the most liquid of all of the company's assets. the difference between sales or revenues and cost of goods sold and depreciation. gross sales and other operating revenue less discounts, returns and allowances. the number of shares outstanding at the company's year end. It is the difference between issued shares and treasury shares. *) datatypes used in this item all do provide Data within our FDatastream license. An indicator of how profitable a company is relative to its total assets. ROA gives an idea as to how efficient management is at using its assets to generate earnings. Calculated by dividing a company's annual earnings by its total assets, ROA is displayed as a percentage. Sometimes this is referred to as "return on investment".